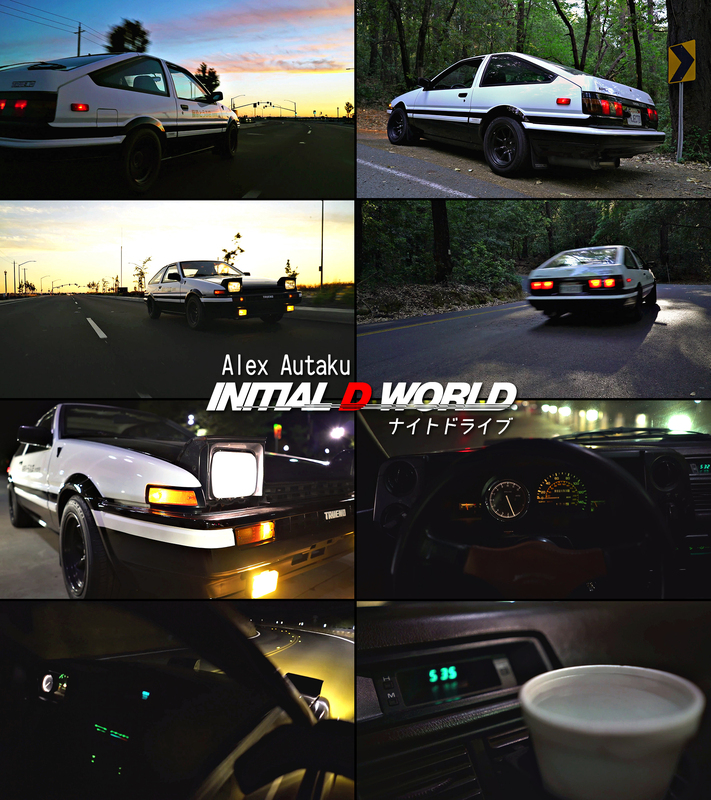 Initial D World - Discussion Board / Forums -> Initial D 86 Tribute "Night Drive"
Initial D 86 Tribute "Night Drive"
Our co-admin Takumi Trueno has made a video dedicated to 86 from Initial D. For many years, Alex always wanted to make videos of his AE86 replica and he finally made it happen. He wants to share this wonderful tribute with all the fans around the world. This marks the debut of a new YouTube channel he's working on that will mainly focus on automotive and all things Japanese. Check out the video here and don't forget to subscribe! Pretty cool video, looking forward to seeing more from Alex.